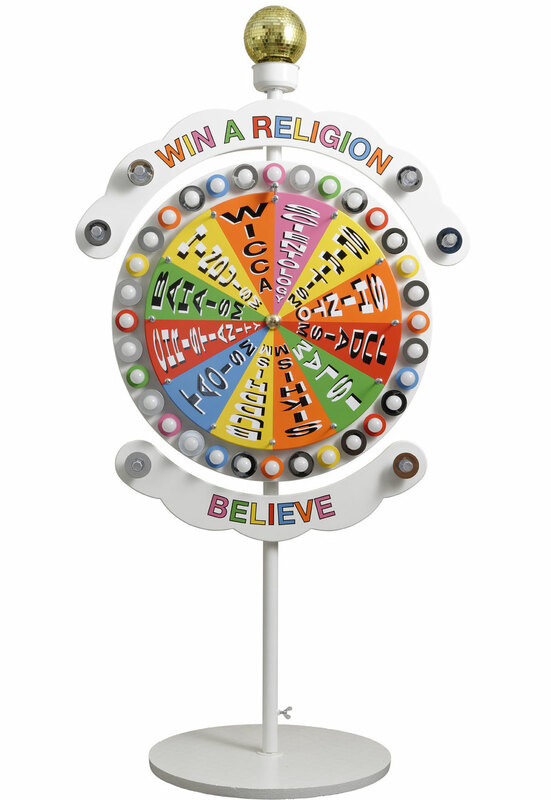 WIN A RELIGION - art-4-sales Webseite! What is religion? What makes us decide for one religion and against another? STONEMAN shines an ironic light on the ever-actual issue of religions living side by side in WIN A RELIGION. 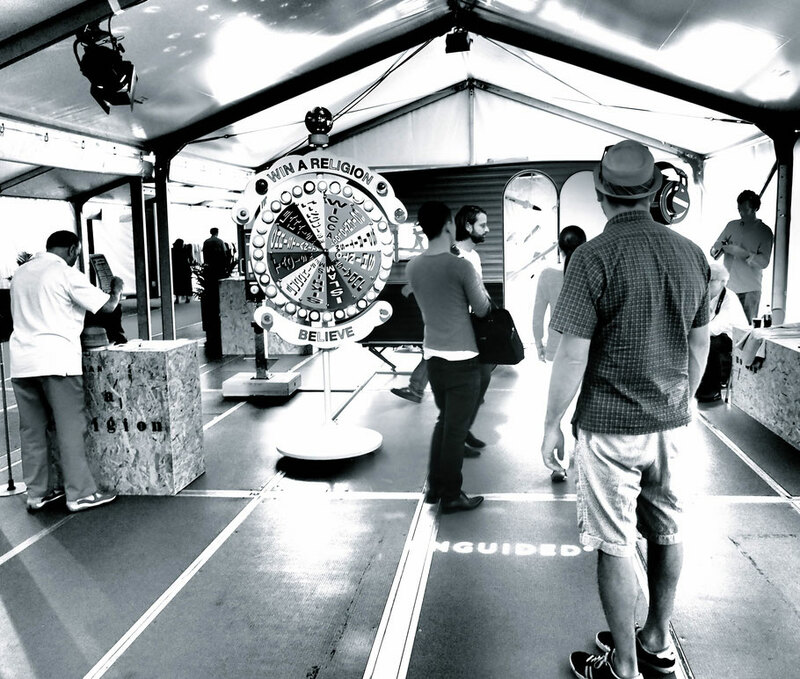 The viewer is invited to gamble for a religion which is then awarded by a certificate. Man is born into a religion and socialized under the influence of religious values: this «game of chance» decides which religion we will live. For most human beings, this is never a matter of conscious decision. Sociologically, religion is a mere necessity in organizing the co-existence of human beings in a society. As a social system, religion is older than any other form of government. And the bigger part of values imposed resemble each other in all religions. It is the way of dealing with a spiritual authority is what distinguishes religions from one another. Does it make a difference, what religion you choose? Or does it suffice to belong to a religion, whichever that should be? Or can we live the values provided by religions without a profession of faith?